Of all the kung fu activities that have taken place in my kitchen, nothing garners more attention than bacon. In fact, it seems to trump every other accomplishment in my entire life. I have a black belt in kung fu. I have a 3.97 GPA. I jumped out of a perfectly good airplane. I went on a mission trip to Bolivia. No one could possibly care less. But the minute I say, “I make my own bacon” people come flocking over like a bunch of geese at the park and I have a loaf of bread. Since there’s been so much interest I thought I’d put together another post with some more details about the bacon process and what I’ve learned so far. I’ve done it three times and it really does get easier each time. Generally less stressful except for when your heat source dies on you one hour into smoking (more on that later). So I use Alton Brown’s bacon recipe . I may be ready to branch out soon. But for first timers (or third-timers) I recommend it because it is tried and true. And you don’t want to risk wasting your whole beautiful pork side on a brine that ends up being less than you expected. The pork belly is in the brine for three whole days. I usually have trouble keeping the meat submerged so I fill an empty jar (like an olive jar) with water and rest it on top to keep it down. 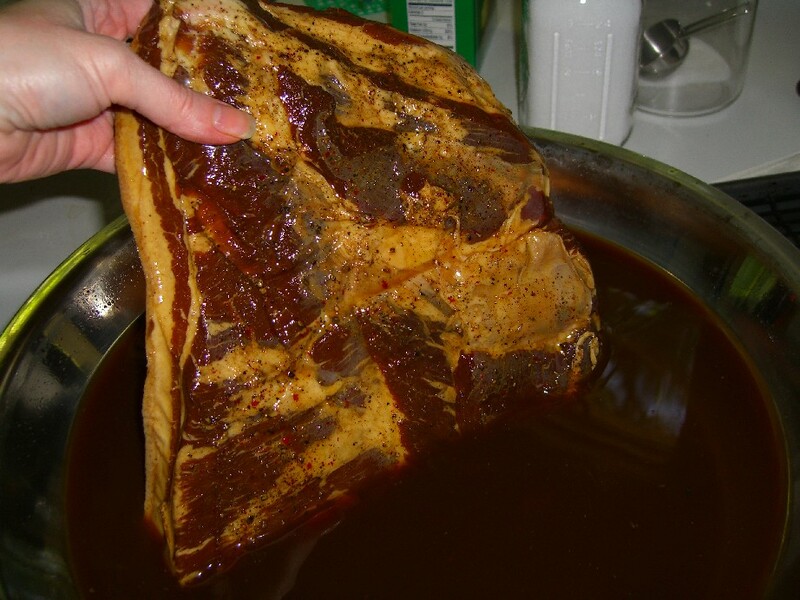 When you pull the belly out, it kind of looks like it’s already been cooked a bit – all nice and preserved with the salt in the brine. 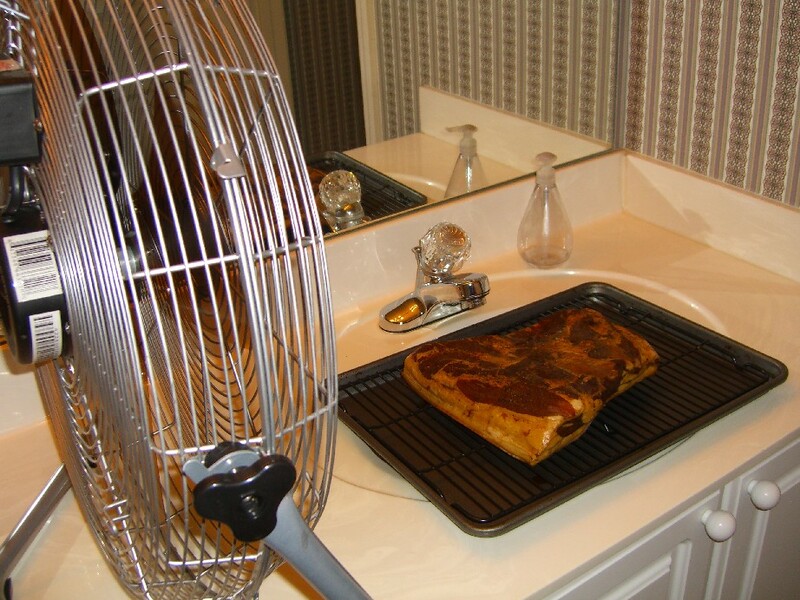 For the next step, drying, I set up a fan in the guest bathroom (the room in the house with the least amount of cat hair floating around), point it right over my side (skin side down, on top of a rack sitting on a sheet pan to catch drips). 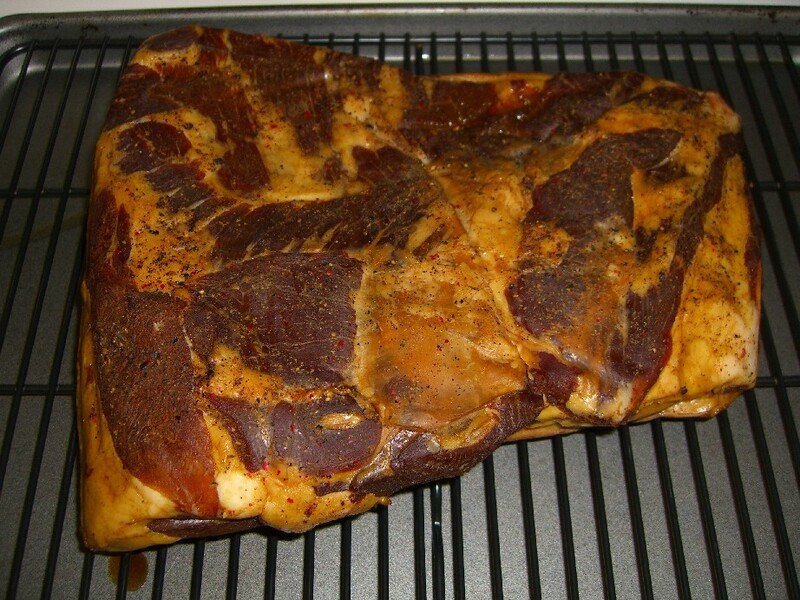 I’ll leave it for a minimum of an hour to form a pellicle (kind of a dry film over the meat). 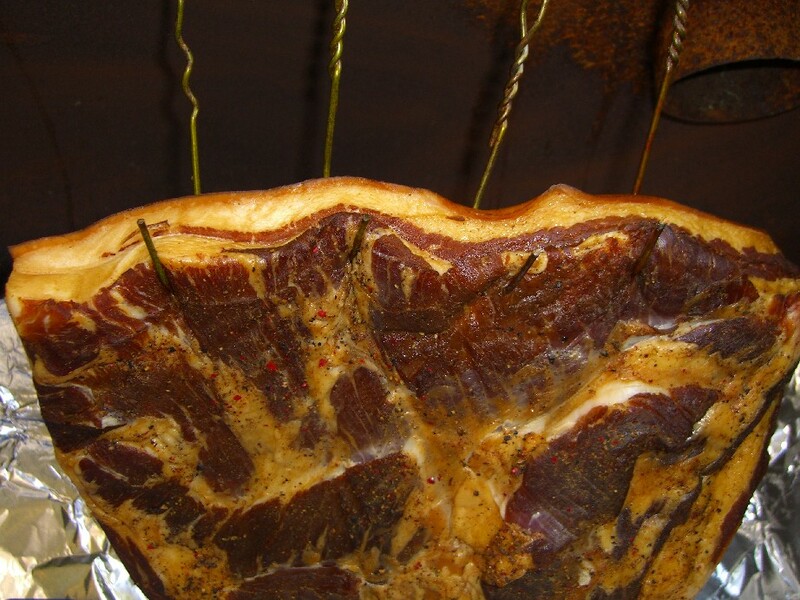 Blown bacon with the pellicle. 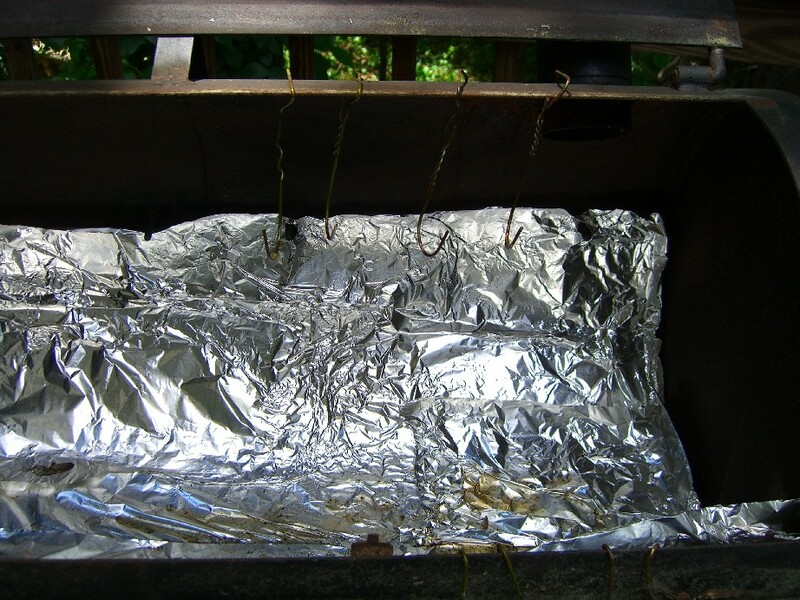 through the meat from the skin side and use the wire clothes hanger rig that test subject Bill invented last year. I noticed that there is some type of coating on the hangers, though, so I won’t use the same ones more than twice now. If it was a hot smoke I’d be worried, but since no heat is applied during the process I’m sort of ok with it. Alright not really. It bugs me and I’m thinking up a better hanging solution. miraculously pours out and gets sucked through the Pit Master. evenly, giving me more efficiency out of my pellets. With the 30-watt when I pulled it out of the can, half the pellets would be burnt to a crisp and half of them would be untouched. 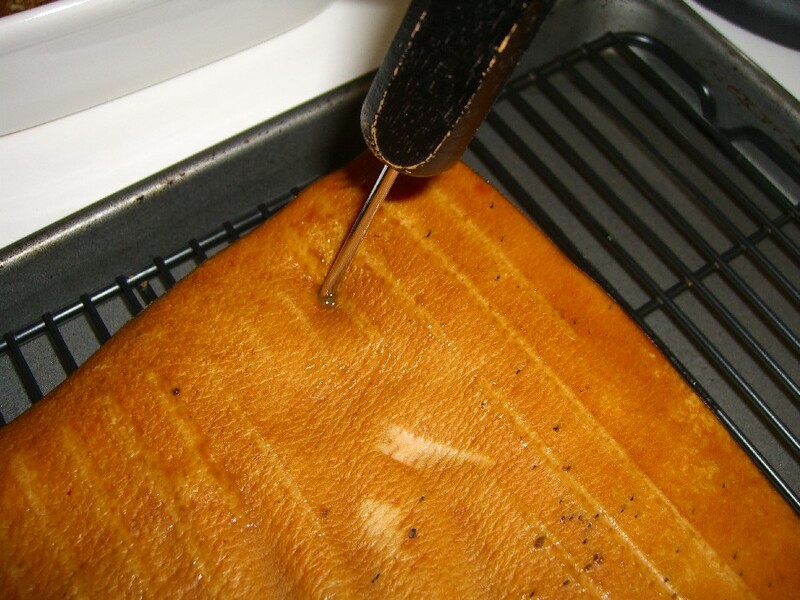 I get more even results with the 25-watt, lessening the possibility of my precious bacon being smoked with burnt-smelling smoke. It does seem to produce less smoke, though, so I made up for the difference by letting it go in the smoker an extra hour (about six hours total). 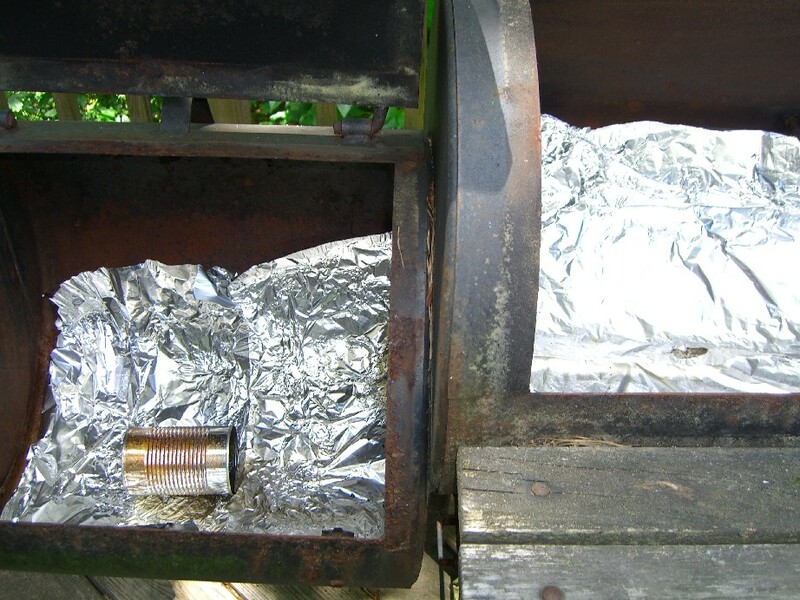 Even on cooler days, I put the blue ice packs into the main compartment with the hanging meat to keep it cool and the help cool down the smoke as it heads through. How often they get changed out though depends on the heat of the day. 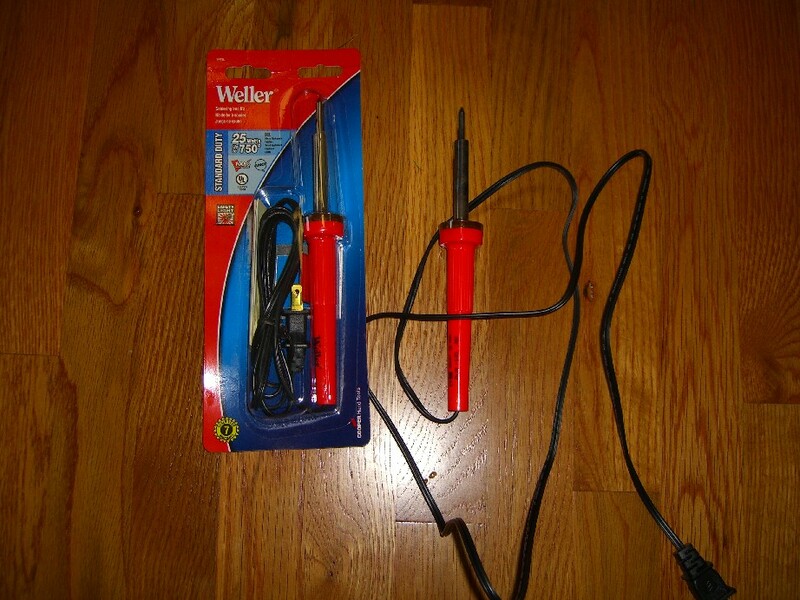 Soldering irons for the can smoker. Making your own bacon sounds like a lot of work, and it is although largely unattended and does get easier the more you do it. But when you munch down on a bacon cheeseburger that sports the bacon you made, it’s truly tasting the fruits of your labor. Wire hanger hooks for bacon hanging. Hanging bacon, pre-smoke. Post-smoke it looks pretty much the same. I forgot to mention about cutting the bacon – I got a meat slicer that cuts the skin (the hard rind on the fat side) right off. No problem at all. I admit it… I’m a goose. You make your own bacon? You’re so cool!